At Mallory Station Storage, you can choose the storage unit that best accommodates your needs. Get in touch with us today to ask about our available storage units in Brentwood, Tennessee. We offer a variety of storage unit sizes, ranging from 5x5 to 10x30. Complete with a long list of available features, our storage units make it easy to store everything from clothing to artwork, furniture to documents. The wide driveways offer easy access to the ground-level units, while the high ceilings allow ample space for your belongings. If you are storing temperature-sensitive items, ask about our climate-controlled storage units. If you are searching for a secure storage facility for your prized possessions, look no further than Mallory Station Storage. 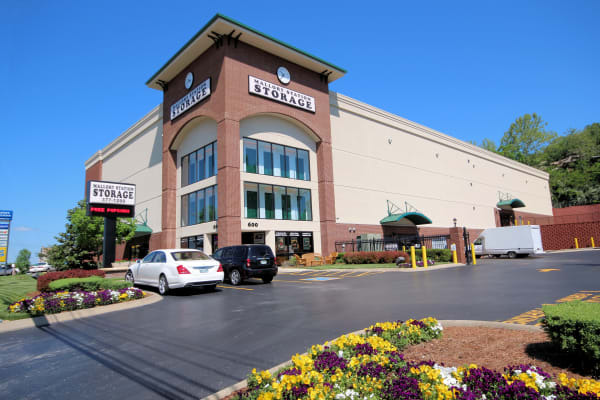 Located near I-65 in Brentwood, our self storage units are well-equipped for easy and convenient storage. Our high-end storage facility offers access 7 days a week via our electronic gate, so that you can visit whenever it works best for you. In addition to being fully fenced and well lit, our storage facility also features a digital surveillance system and 24-hour video recording. Complete with an onsite management team and easy online bill payment, Mallory Station Storage streamlines the storage process. Contact the team at Mallory Station Storage today for more information and to reserve your storage unit.